Snow for our family is skiing in the Val D’Aosta up in the northern mountains of Italy. Crisp fresh air, leisurely exercise, a little apre ski, spa session, delicious food and RELAX. It comes with a stonking bill about 28 days after but it’s always worth it. This recent Scottish “snowcasion” has been anything but fun but it’s still come with a stonking bill, without any of the fun. Red weather warnings of last week were unprecedented. With no buses, trains, school closures and general mahem our decision to close our restaurants was not a question, it was a necessity. Wednesday from 2pm and all day Thursday saw us closed. Contacting guests to say we’d be closed is not the hospitality service we strive for. The majority of guests had the same thoughts as us and called to cancel. Thankfully the remaining were very understanding and most bookings have simply rearranged for later in the month. Modern social channels had made this far easier than in previous years. Our events team were able to login remotely from home to our booking system and all our phones were diverted to mobiles which made our front line customer service 5 star. We’ve been able to update our customers via Facebook, twitter, Instagram and our website. Thanks to all the team working out with their contractual hours to keep us information and communication upto date. Social Media channels were also invaluable for keeping uptodate with weather, road networks, travel news, schools, suppliers etc. We can’t undervalue the benefits that modern technology gives us. The decision to reopen on the Friday morning was still a tough choice. With red warnings reduced to amber it made the choice easier. 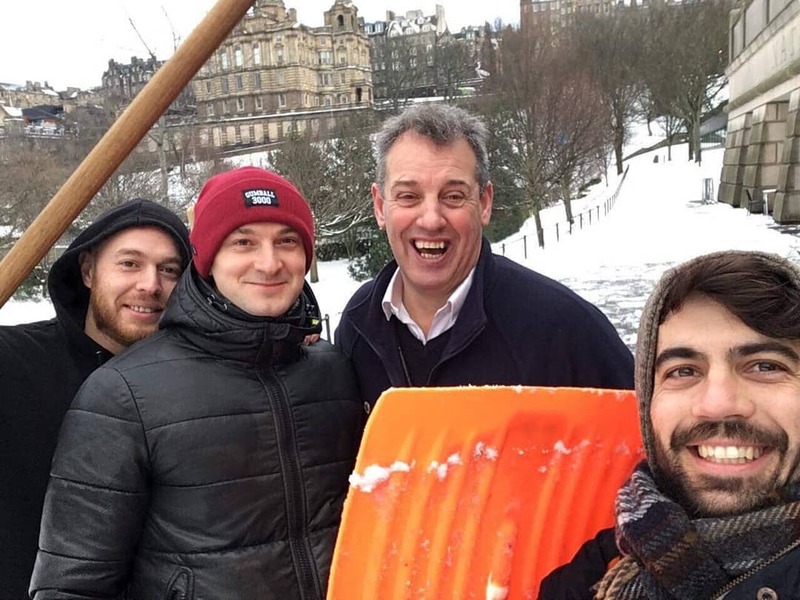 However the amber warnings resulted in Scottish Government advising National Galleries not to open so The Scottish Cafe & Restaurant was closed. 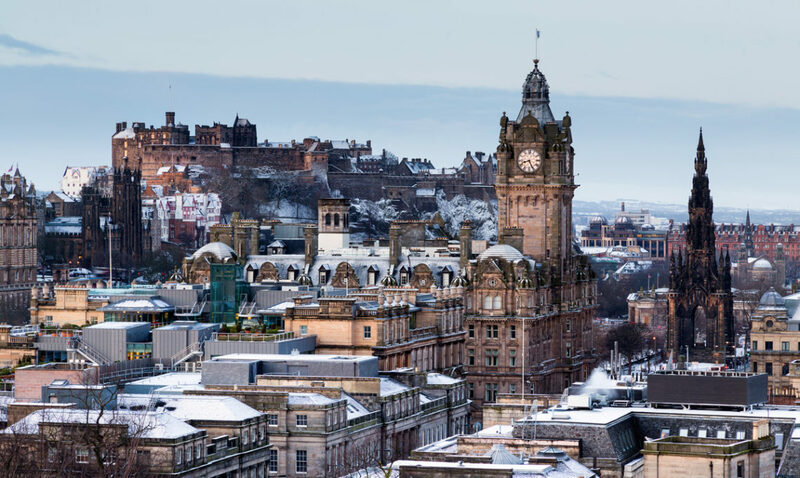 Edinburgh Castle was also closed which is a key driver for Castlehill visitors. 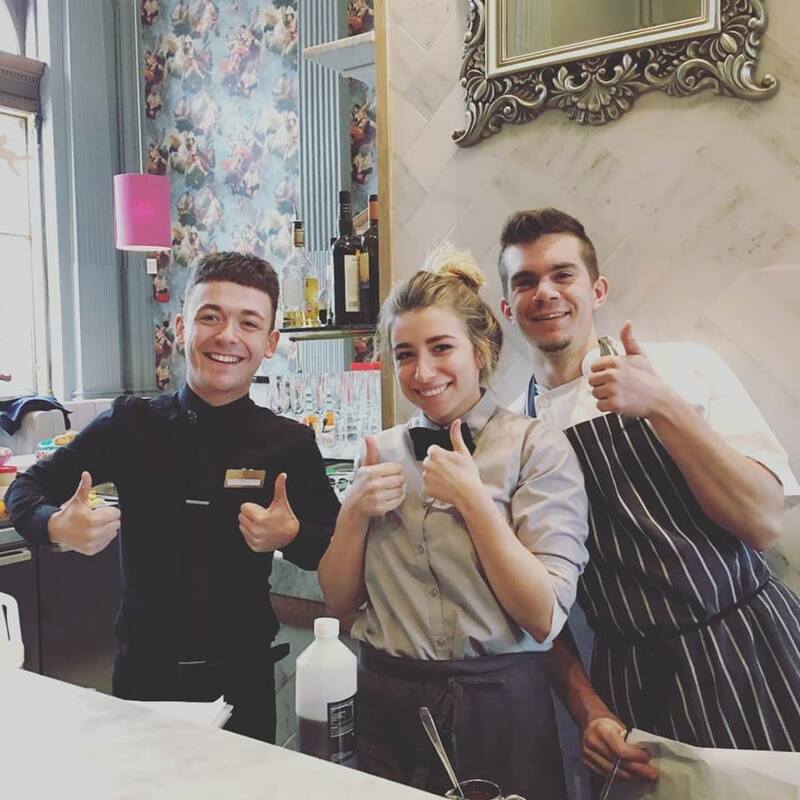 Our teams at Contini George Street and Cannonball did an amazing job walking to work to service the few guests that had existing bookings or were either stranded in the city or were stir crazy from being locked up in the house for the past two days. We look after a huge number of international visitors and feedback from the hotels in the city that many restaurants, coffee shops and visitor attractions were closed we felt it was the right decision. The team were also very keen to get back to work which was key in to making the decision to open. Financially it’s a very tough call. Occupancy rates in restaurants affect profitability and if you’re quiet it can feel worse than being closed! Google Docs have been an incredible communication tool for all our team and particularly for our senior team. Coordinating three teams in three restaurants is tricky. Good communication is vital. We also have third party partners that we need to liaise with. All our team can access our shared google documents from an app on their phones and add information relevant to their departments instantly. It really has been fantastic having this level of technology to hand. The knock on effects for our suppliers has been even more tricky. Coordinating rural suppliers or suppliers linked to agriculture or fishing in these weather conditions has been practically impossible. So even if we had wanted to open on the Thursday we would not have any fresh food to sell. Luckily by the Friday there were only limited lines that we weren’t able to provide. Historically these sort of environmental issues result in a rise in raw ingredients. We’ll have to brace ourselves for this one. What I found interesting about the supermarket shelves when I did my home shop on the Friday was there was more foreign produce on the shelves than Scottish or even British. Harvests ground to a freeze (literally), our boats were left in harbour, our dairies couldn’t deliver, our bakers couldn’t get the flour to bake. But a delivery from Europe or Kenya could fly by far easier. Interesting challenges perhaps for our Brexit journey, should we be faced with this again. As someone who is passionate about buying local I must admit I didn’t even notice what I’d bought until I got home. Environment out the box for one shop anyway despite being surrounded by the massive impact of climate change all around us. Having digested the delivery, it has reinforced my beliefs in buying locally and supporting local. It is estimated that the economy suffered a 20% fall in GDP. I would guess that most restaurants would have been hit by as much as 70%. It’s been a tough week and it will take several weeks or months to catch up with the loss of pace we’d been building steadily since the start of the year. Our independent restaurants will really value your business to support this gap please support them. This snowcacion has come with an equally huge bill but with none of the fun. Thank you to all of our wider community, neighbours, strangers, suppliers and customers who have gone above and beyond to support all of us over the last few days. We look forward to getting back to business as usual and we’ll keep the ice for the oysters and the Negronis. Our team are on duty to take your bookings, plan your event and make up for any fun that you’ve missed over the last few days.